Friendly small resort with everything needed for self catering. Restaurants, supermarket and small beach 8-10 min. walk. Small snack bar on site. No charges levied for energy and free WIFI. Some apartments have sea view and all have balconies. Very friendly cat. Clean units. Reception was so kind. We got special help from him honestly. Really good location to anywhere. Good communication close to the bus stop and shops. Free parking. Reception were always there anytime. I would recommend to everybody. 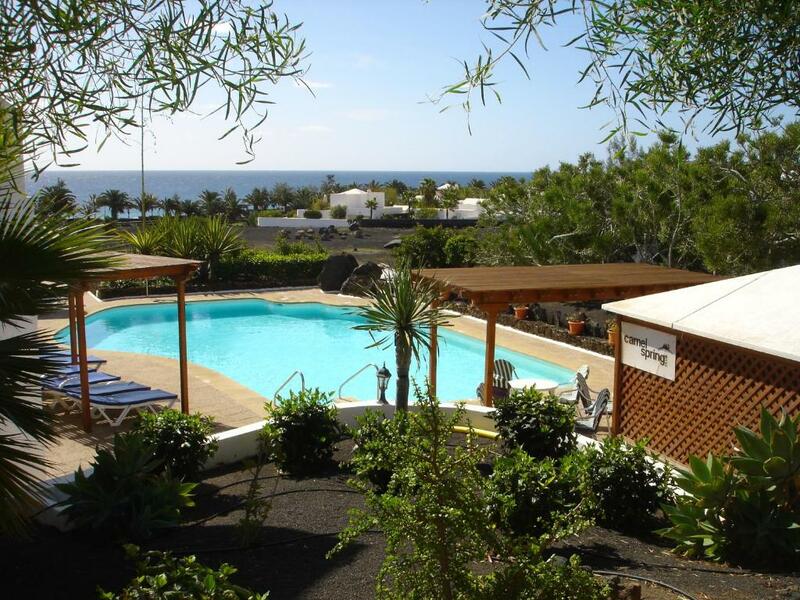 Camel springs is in a quiet location and not to far from the sea, also only a 10 minute walk to the centre of Costa Teguise. I am trully delighted with my experience in Camel's club. Real nice and relaxing place, location is simply fantastic, close to everywhere - the beach, shops and facilitites, perfect starting point for trip around the island by car or by bus. I even found a gym nearby and joined for a few days. Very comfortable, clean and pretty appartment club, nice hosts offering every kind of assistance. Cool bar on the swimming pool too. I would love to go back again. Everything!!!!!! Cosy ,clean & comfortable. Staff friendly & very helpful. Peaceful location, just a few minutes walk to the nearest beach & a choice of good restaurants. Lovely location and quiet - few minutes to an okay beach and ten minutes to main beach. Good restaurants nearby. Lock in a great price for Camel's Spring Club – rated 8.9 by recent guests! Camel's Spring Club This rating is a reflection of how the property compares to the industry standard when it comes to price, facilities and services available. It's based on a self-evaluation by the property. Use this rating to help choose your stay! This small, friendly aparthotel lies just 500 feet from the beautiful beaches of the Costa Teguise. From here you can enjoy great views of the Atlantic Ocean. Spend your day enjoying the warm sun in the Camel’s Spring Club’s outdoor swimming pool. Beside here you will find a snack bar, serving lunches and refreshing drinks throughout the daytime. Each self-catering apartment at the Camel’s Spring looks out over the gardens or the ocean. The 2-bedroom apartments have their own balcony. All apartments also include a kitchen, lounge and either one or 2 bedrooms. The Camel’s Spring Club is surrounded by the volcanic, tropical landscape that makes Lanzarote unique. Also in the surroundings you will find a selection of shops, bars and restaurants, as well as the resort center of Costa Teguise. Staff at reception can help you plan excursions across this amazing Canary Island. 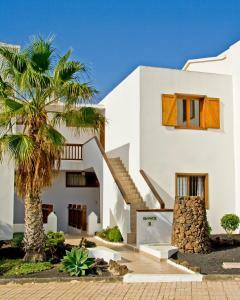 This property is also rated for the best value in Costa Teguise! Guests are getting more for their money when compared to other properties in this city. When would you like to stay at Camel's Spring Club? This ground-floor apartment features views of the gardens, and some also have views of the swimming pool and have a small private garden. All apartments come with a private terrace. The bedroom has a double bed. Sheets and towels are included. The apartment features a balcony with views of the garden, and some also have views of the swimming pool. Each apartment features 2 bedrooms with 2 bathrooms. Linen and towels are included. This ground-floor apartment features views of the gardens, and some also have views of the swimming pool and a small private garden. All apartments come with a private terrace. There is 1 double room and a sofa bed in the living room. Linen and towels are included. The apartment features a balcony with sea views. Each apartment features 2 bedrooms with 2 bathrooms. Linen and towels are included. House Rules Camel's Spring Club takes special requests – add in the next step! Camel&#39;s Spring Club accepts these cards and reserves the right to temporarily hold an amount prior to arrival. Camel's Spring Club accepts these cards and reserves the right to temporarily hold an amount prior to arrival. Guests arriving after 5:30 p.m. should contact the resort directly to arrange key pick-up. Please inform Camel's Spring Club of your expected arrival time in advance. You can use the Special Requests box when booking, or contact the property directly using the contact details in your confirmation. Pool was really cold for this time of year but would be a great place to cool down in summer. The pillows were a bit uncomfortable. Very helpful staff, great location and spacious apartment. Wifi was OK, but not excellent. We (not by choice) cooked all our meals in the Apartment, because family members have certain food intolerance issues. Would have liked a slightly bigger fridge & a small freezer would have been an added bonus. 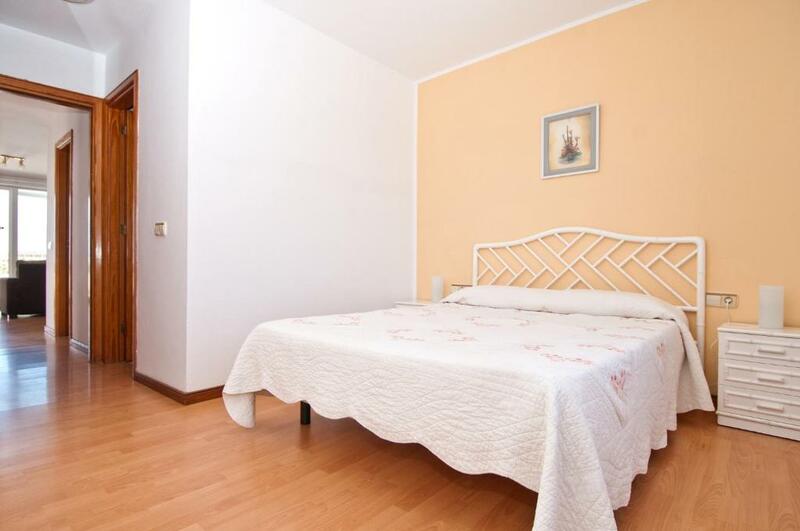 We were renting a two bedroom apartment which can comfortably accommodate five adults. The pool is unheated like most on Lanzarote- would have been so much nicer to have a warm pool! It was very spacious, quiet, clean and comfortable. The Management and staff were excellent, as was the help with our baggage on arrival and departure. It is an excellent place to stay and would highly recommend it. Bedding not changed mid week. Excellent apartment, sea view and top floor, can't fault it. We love the location, close to the beach and promenade, good eating close by and an easy walk into Coata teguise for an excellent choice of restaurants. Only problem which was not mentioned enough by Booking.com was the stairs. No problem on day to day basis but could be a problem when trying to get luggage in or out. We were on ground floor but there were still 2 Flights of stairs. All very good. Nice place. Tidy clean friendly and lovely people in reception.